The results of an observational study of 4,310 Irish adults 60 and older (whose lead author, Eamon J. Laird, is a research fellow at Trinity College Dublin) have shown that greater yogurt consumption is associated with increased bone mineral density and physical function in older adults. The study is summarized in a short abstract published by the National Center for Biotechnology Information (a division of the National Library of Medicine at the National Institute of Health in Bethesda, Maryland) which also includes a link to the full text of the journal article in Osteoporosis International (an official journal of the International Osteoporosis Foundation). 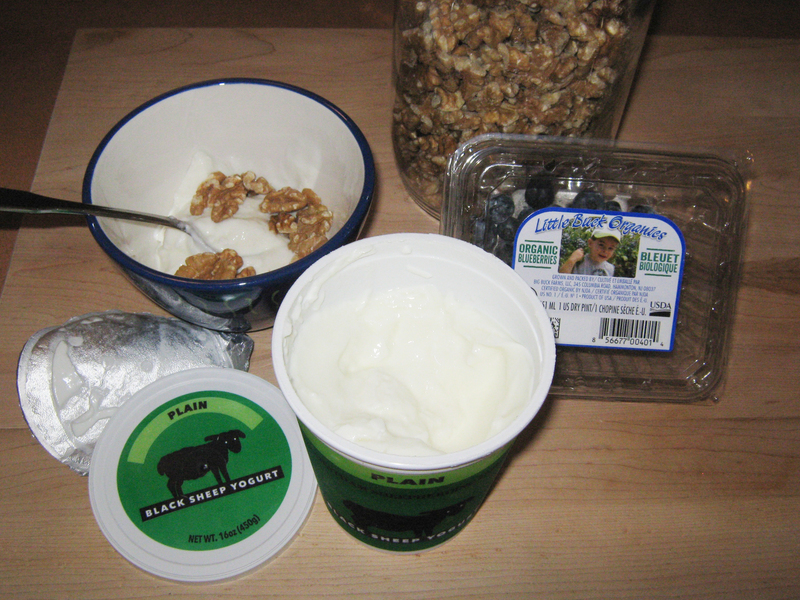 According to Nicholas Bakalar’s reporting in the New York Times (Yogurt for Healthy Bones, 5/16/17), researcher Eamon J. Laird noted “that other dairy products did not (emphasis added) produce a similar effect and cautioned that some yogurts are high in sugar.” To be assured of quality yogurt, this website’s yogurt directory has over 30 listings of farmstead yogurt makers. 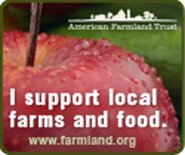 As noted by researcher Laird avoiding added sugar in yogurt can be challenging with conventional yogurt producers. Reading labels on yogurt containers is important. 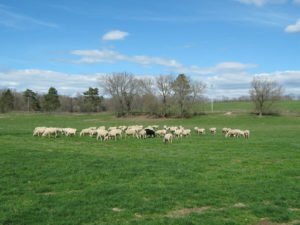 This yogurt fan’s almost daily dish of Old Chatham Sheepherding Company’s Black Sheep Yogurt is not only delicious (especially with a handful of added walnuts and blueberries), but carefully made. Its label reflects the pride of the maker: “We produce our great sheep’s milk yogurt with care on our farm in Old Chatham, New York.” Ingredients are plainly listed: pasteurized sheep’s milk, L. bulgaricus, S. thermophilus, L. acidophilus, Bifudus [the live and active probiotic cultures].” The label also notes: no added sugars, no stabilizers (naturally thick) and no artificial growth hormones. 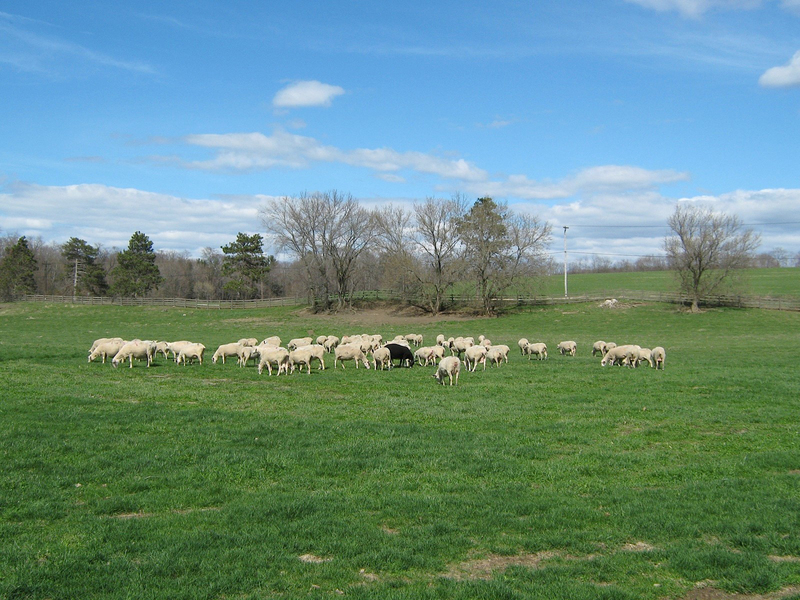 A visit to the Old Chatham farm in Columbia County, a short drive from my home in Albany, a couple of years ago on a pleasant spring day, showed one black sheep, which gives the yogurt its brand name, among the herd of Friesian sheep at pasture. Memorable.